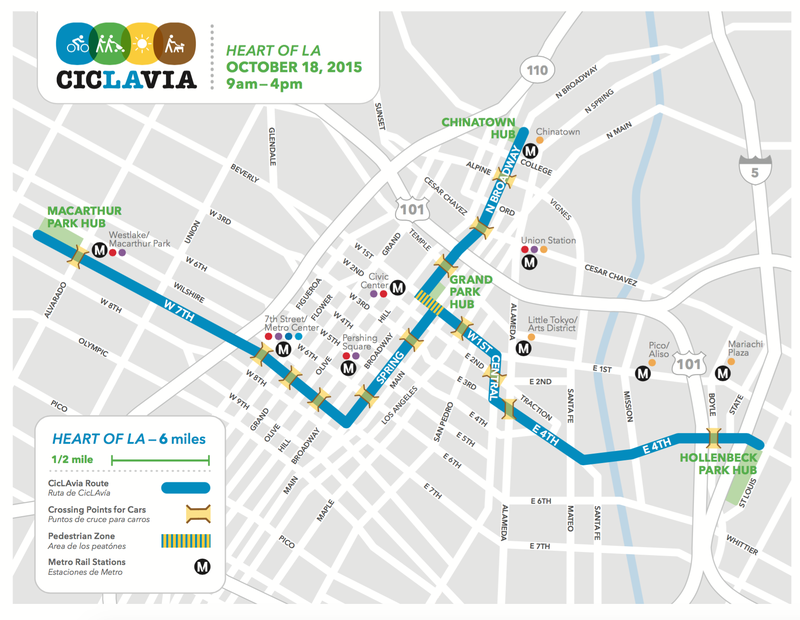 Another car-free Sunday coming your way October 18 with…#RainLAvia? On the bus side, street closures will impact Metro Bus routes beginning at 6 a.m. until approximately 5 p.m. the day of the event. Though the Heart of L.A. route has numerous crossing points for vehicular traffic, Metro customers should expect bus detours and delays, including temporary bus stop relocations along the route. Impacted Metro Bus lines include: 2, 4, 10/48, 16, 18, 20, 28, 30, 40, 45, 51/52, 53, 55, 60, 62, 66, 68, 70, 71, 76, 78/79, 83, 92, 96, 460, 487, 720, 733, 745 and the Metro Silver Line. For more information about detours on specific lines, visit Metro’s Service Advisory page. For more information on routes and connections, use the Trip Planner or call 323.GO.METRO. Tagged as: Bike Metro, CicLAvia, Heart of L.A.